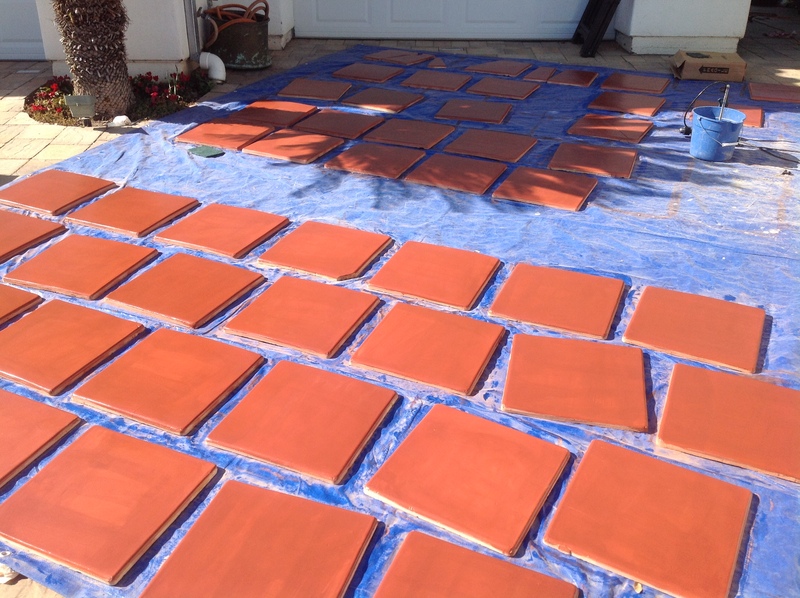 Most people prefer when you stain the pavers, that they all have the same hue, but the blemishes, characteristics, and natural colors come through. 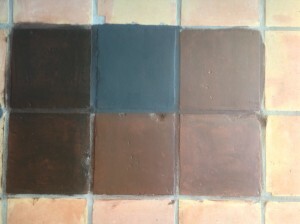 What happens a lot is that people have a tendency to put the stain on more like a paint and covers the whole paver. What results is the paver are all one solid color instead of having variation. Making them one solid color also brings up the challenge of getting them sealed correctly. 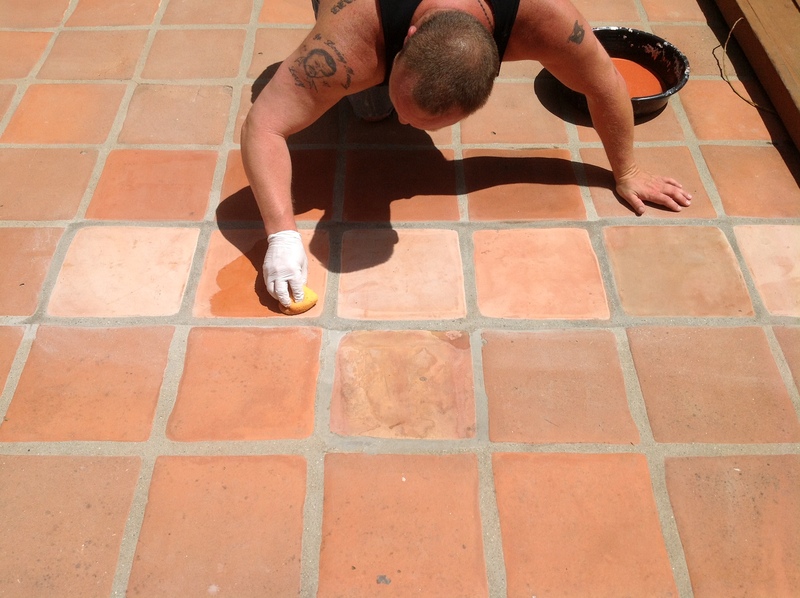 By this I mean, the solid color is so thick that the sealer bonds to the thick stain, not the paver underneath. Over time this will not hold up well. It will scratch easy, and began to turn white and cloudy, possibly peeling and blistering may occur. We can pre-stain them right out of the box. Call now or E-mail to get your Paver Tile Floor Custom Stained Today!